If you work outside during the winter, you know good-quality work boots are a necessity. Having the proper winter work boots ensure your feet stay dry, warm, and safe during even the harshest condition. 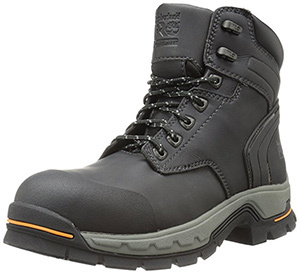 Below you’ll find a list of the best winter work boots on the market, considered for their dependability, winter-proof features, affordability, and performance. 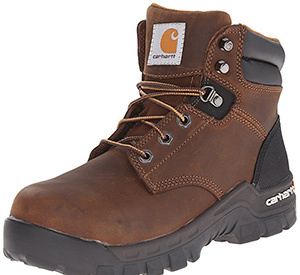 Carhartt is known for their superior work products, so it’s no surprise that they produce some of the best winter work boots out there. These boots are tall and outfitted with superior padding and insulation to ensure no snow, water, or cold interrupts your work day. Many people associate Muck Boot products with gardening, farming, and chores around the house. 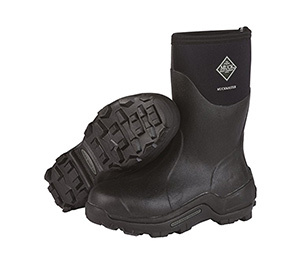 But when it comes to cold and wet conditions, these boots are great at keeping your feet and calves warm and dry. The rubber sole is extra-durable and the shaft is outfitted with stretch-fit technology to ensure the perfect fit. Timberland makes some of the best boots in the world, and these are a favorite among customers for working, hunting, and hiking. They’re the right size for flexibility and are loaded with features to keep your feet comfortable for hours. You should not be shocked that Carhartt also makes some of the best winter work boots for women as well. 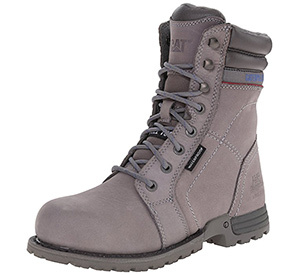 These boots are made for the construction site and are wonderful for hiking and outdoor work in the cold. With a sturdy-toe and stable tread, you can stay on your feet for hours. 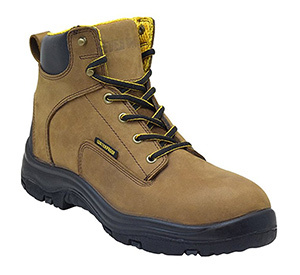 These work boots come from Ever Boots, a brand known for creating great work boots at a great value. 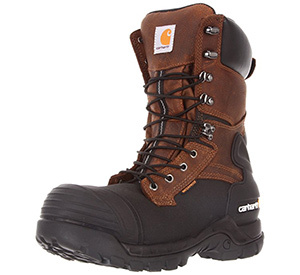 While these boots may not do well in 6-feet of snow, they’re designed to keep your feet warm and dry at the worksite. They’re easy to move around in and provide your feet with the stability they need. These women’s boots are some of the best winter work boots if you rely on customer-opinion. Not only are they cute, but they are functional with waterproofing, durability, and strength features that keep your feet safe and happy all day long; no matter the job. Columbia knows a thing or two about the cold. These boots aren’t too heavy to move around and they’re loaded to the brim with comfort and performance features. 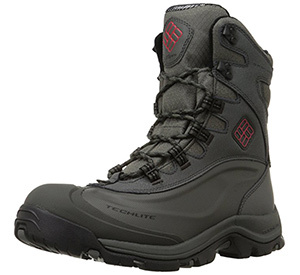 The height of the boot ensures you can work and play in the snow, cold, and wet-conditions for hours and hours. The best winter work boots will keep your feet warm, dry, and supported during the harshest work conditions. Whether you’re comfortable with tall boots or short, insulated or not, soft- or hard-toe, you’ll find a pair of boots on this list to tackle the job. Which winter boots are you going to try next?